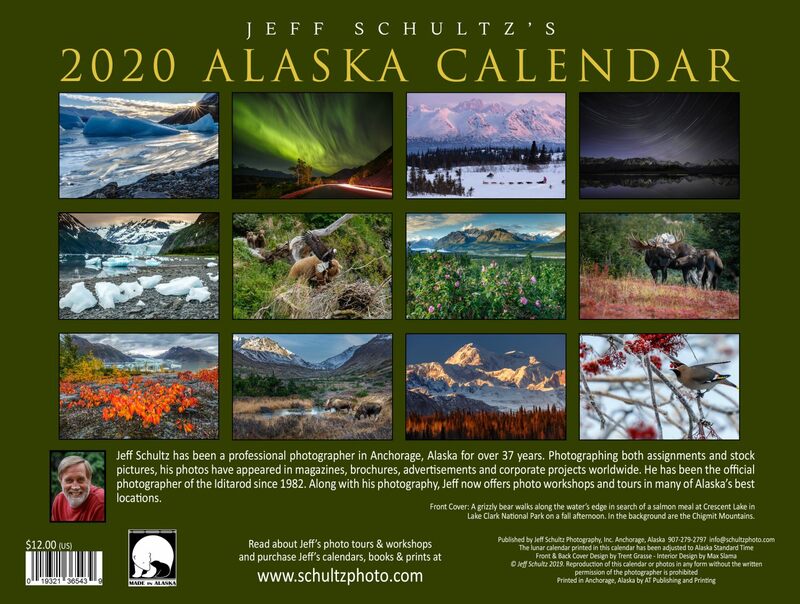 Jeff Schultz’s 2020 ALASKA Calendar showcases photographs by award-winning Anchorage resident and professional photographer Jeff Schultz, official photographer of the lditarod since 1982. 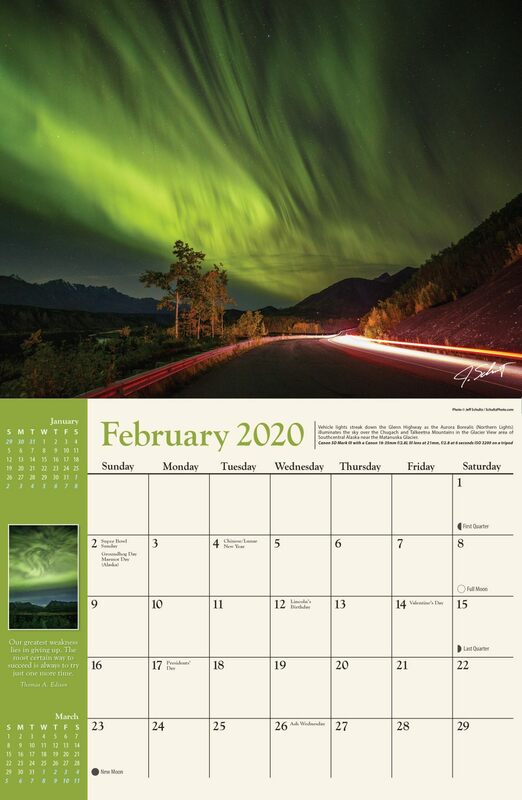 The calendar is printed in Anchorage on glossy, high-quality paper and is beautifully designed. It includes Federal & Alaska holidays, moon phases, an inspirational quote each month next to a small, inset photo. The diversity of the images shows the stunning beauty of many aspects of Alaska. 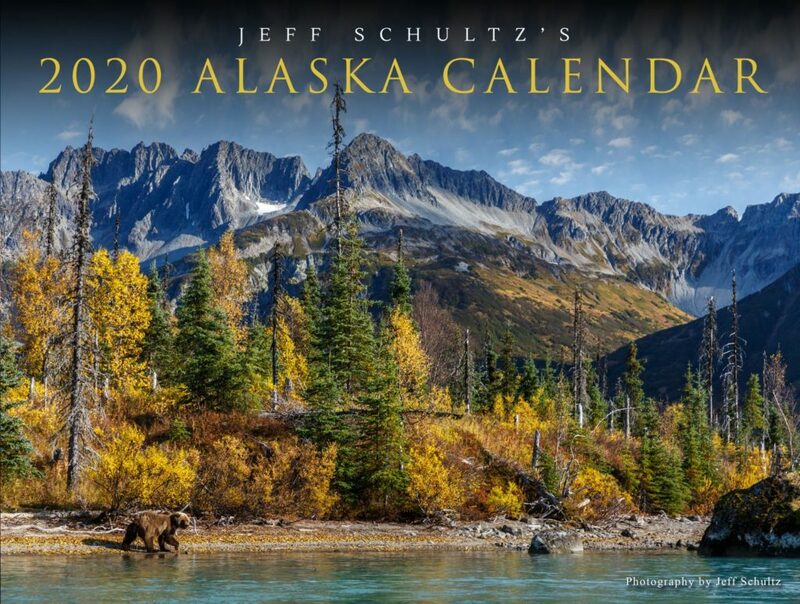 Your school, organization or team can participate in selling this uniquely Alaskan product as a fund raiser. Selling Entity keeps 55% of funds received.